Margaret Atwood’s The Handmaid’s Tale is one of my favorite books of all time and that’s saying something because I read A LOT. I’m a bookaholic, ya’ll! 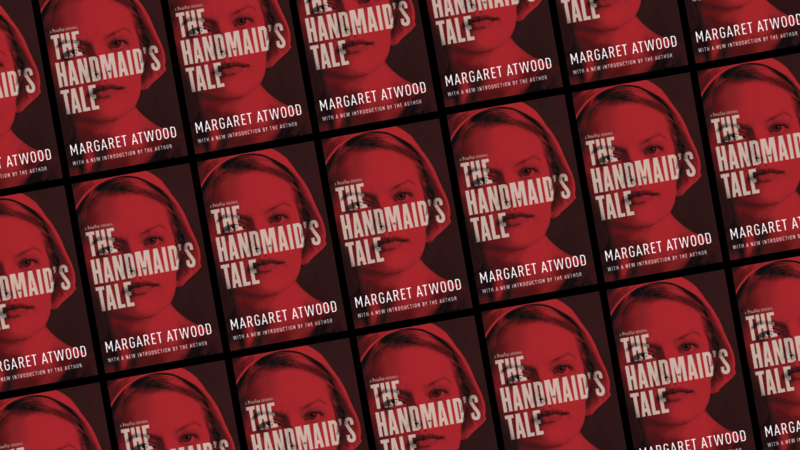 So, when I heard the mini-series was coming out, I was so excited, especially since I’m beginning to wonder if Atwood is an oracle, considering many of the narrative themes she explores— reproductive freedom, the rise of the theocracy, and an increase in infertility—are issues we are facing today. It’s hard to believe that Atwood wrote the book more than 30 years ago. But when The Handmaid’s Tale premiered, I was kind of disappointed. I thought the first few episodes were slow and I couldn’t get into it, so I abandoned ship. But, when I heard so many friends say how much they loved the series, especially Season 2, I recently decided to give it another try. Well, the second time around, I got hooked, went on a binge, and now I’m jonesing for next season. If you’re looking for some dystopian fiction to keep you occupied until Season 3, I’ve got you! One of the scariest things about reading a dystopian novel is when you start thinking to yourself, maybe I’m the one living in a dystopian nightmare. In America, our reproductive freedoms are in real jeopardy and in Red Clocks, we are offered a glimpse of what our lives could easily become. Red Clocks describes a world where abortion is illegal in America, in-vitro fertilization is banned, and the Personhood Amendment grants rights of life, liberty, and property to every embryo. This novel explores the fate of five different women who are struggling to find their way in this restrictive society—a single woman who is trying to have a baby on her own, while also writing a bio of a little-known 19th-century female polar explorer; an unhappily married mother of two; a high school student who is unexpectedly pregnant; and an herbalist who is the connective tissue between all the women after she’s arrested and put on trial. How many times have you received a text from a friend or a loved one, glanced at it, and said I’ll get back to them later, without a second thought? In The Last, Jon thought he had plenty of time to answer his wife’s text message:  I miss you so much. I feel bad about how we left it. Love you. His wife and children are in the States, while Jon is in Switzerland for a conference, staying at a remote hotel in the countryside. He’s still thinking about how to reply to his wife’s text when he receives the news that Washington, DC has been attacked by a nuclear bomb, followed by New York, London, and finally Berlin. Two months later, he is trying to stay alive with twenty survivors in a hotel with a dark history of suicides and murders. When the hotel’s water pressure diminishes, they gruesomely discover the body of a young girl in one of the water towers. 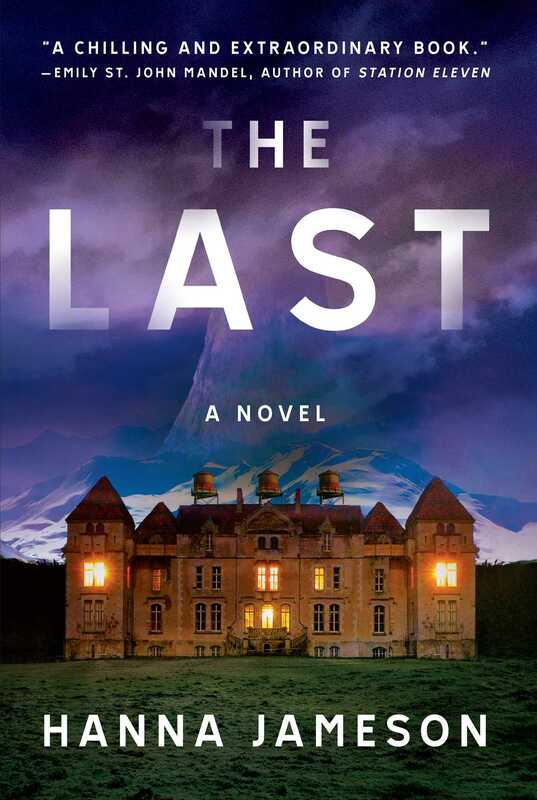 Jon becomes obsessed with finding out what happened to the little girl as tension among the remaining survivors builds. Confession: This amazing novel doesn’t pub until April 2019, but I got my hands on a bound manuscript and was filled with so much anxiety reading it, I had to put it down a couple of times to collect myself. Did you love Ready Player One (the book, not the movie of course!) and obsess over every episode of Netflix’s Black Mirror? If, so then this graphic novel is perfect for you! 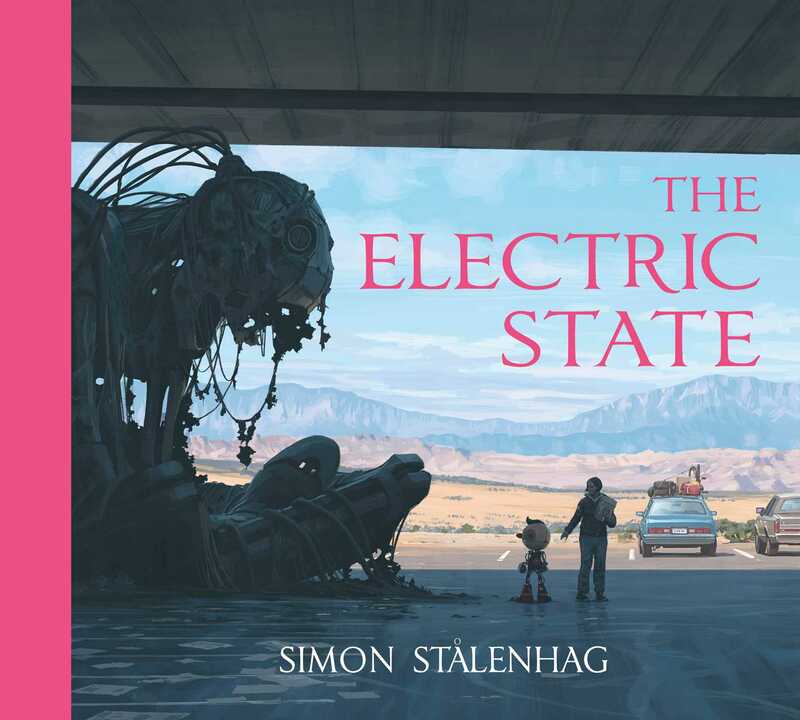 It’s 1997 and a teenager and her toy robot are traveling through what’s left of the American West. Ruins of gigantic drones dot the landscape along with piles of trash left from a society that is addicted to a virtual-reality system. The more they travel, the more the world seems to be in disarray, leaving you to wonder: Is this the ultimate end of civilization? Roxy, a girl from an influential family. Tunde, a rich Nigerian who likes to hang out at the pool after his photo-journalism class. Margot, a politician with a teenage daughter. Allie, a young woman whose religious foster parents are not what they seem. Roxy, Tunde, Margot, and Allie are living pretty normal lives until teenage girls acquire supernatural abilities that give themselves unmatched physical power. This phenomenon causes the world to reset, as women subsequently seize control of society. A controversial novel that explores the role of gender and power dynamics in an alternate world. In The Power, teenage girls simultaneously develop the power to cause pain by electrocuting people. This phenomenon causes the world to reset, as women subsequently seize control of society. A controversial novel that explores the role of gender and power dynamics in an alternate world.